1:00:16: Visual: Footage of students from the Boston University School of Theology walking on the Boston University (BU) campus at dusk. The students sing, "We Shall Overcome." The students gather together and link arms near the Martin Luther King Memorial statue near Marsh Chapel. Shots of the students. Hope Kelly reports that students at the BU School of Theology were celebrating the life of Martin Luther King Jr. (civil rights activist); that the celebration of peace is happening while the nation is at war. 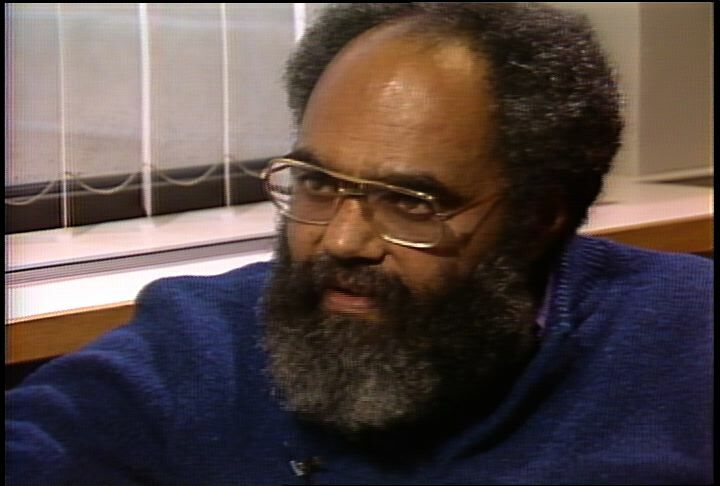 V: Footage of Virgil Hammett (student, BU School of Theology) being interviewed. Hammett says that he sees the connection that King saw between civil rights and the Vietnam War. Hammett says that some US soldiers in Kuwait are fighting for rights that they do not possess at home. 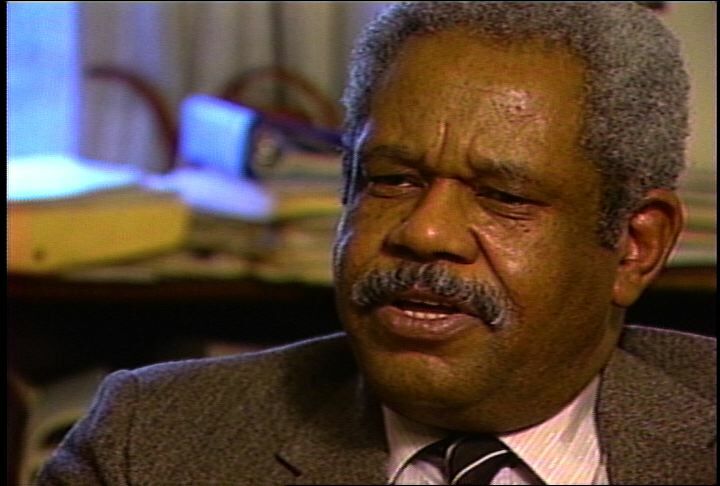 Footage of Leon Chestnut (student, BU School of Theology) being interviewed. Chestnut says that charity begins at home. Chestnut says that the US must set its own house in order before going off to war. Footage of Jessica Davis (student, BU School of Theology) being interviewed. Davis says that a lot of money is spent on weapons; that the government is not providing for the needs of the people. Kelly reports that Davis is a divinity student who is studying to be a minister. Kelly notes that Chestnut is a Hebrew Bible scholar and a preacher. V: Shot of Chestnut and Davis standing in a chapel. Footage of Chestnut addressing the gathering of divinity students on the BU campus. Chestnut quotes from a psalm. Footage of Chestnut being interviewed. Chestnut talks about the importance of having faith. Footage of Chestnut addressing the gathering of divinity students. Chestnut talks about faith. 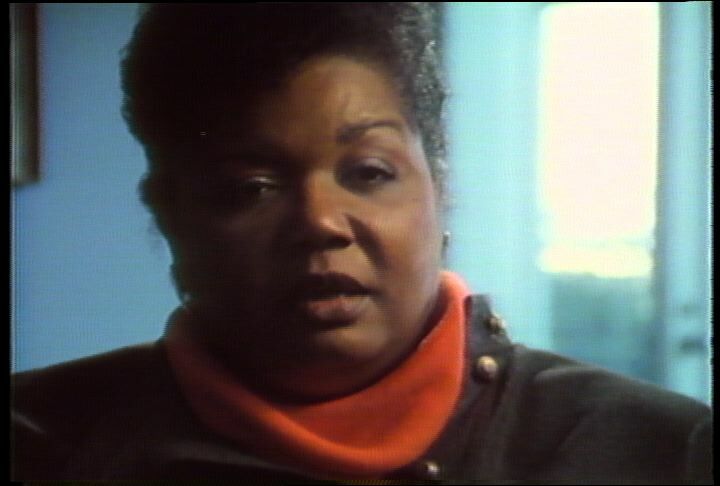 Footage of Roxie Coicou (student, BU School of Theology) being interviewed. Coicou says that people need to pray and to talk about the war. Kelly reports that Coicou was born in 1968, which was the year that King was assassinated. V: Footage of Davis being interviewed. Davis talks about seeing King speak when she was a little girl. Davis says that society's problems have changed little since the 1960s. 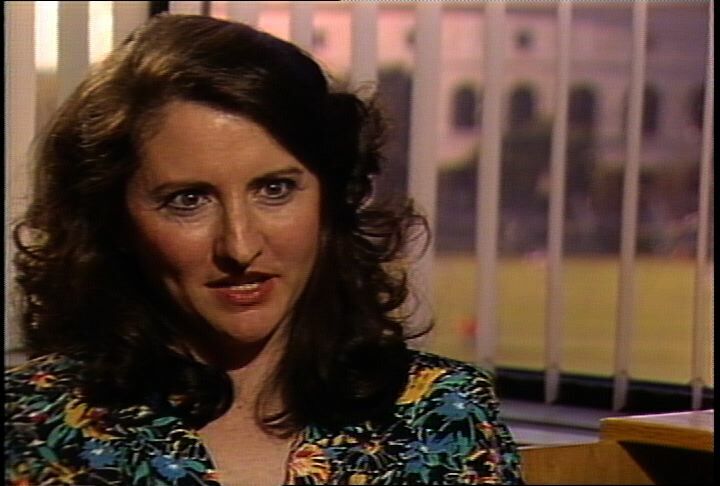 Footage of Coicou being interviewed. Coicou says that politics will continue; that people need to pray. Shot of BU students at the gathering. Footage of Hammett addressing the gathering. Hammett prays for love and understanding. Hammett prays for the realization of King's goals. Footage of Davis addressing the gathering. Davis prays for an end to the war. Shots of the students at the gathering. Description: Archival soundbites of civil rights activists Martin Luther King Jr., Stokely Carmichael, H. Rap Brown, Malcolm X. Interviews with Robert Moses and Alvin Poussaint, who say we should not celebrate MLK alone, but remember the whole history of the civil rights movement. Sammy Davis Jr., Leonard Bernstein, James Baldwin, Harry Belafonte participating in march. Description: Marcus Jones reports on the civil rights documentary series, Eyes on the Prize. Jones notes that Eyes on the Prize is a six-part series documenting the first decade of the civil rights movement, using historical footage and first-hand accounts to tell the story. Jones interviews Henry Hampton (documentary filmmaker). Jones notes that Hampton's production company, Blackside Incorporated, produced the series. Hampton says that the civil rights movement is often overshadowed by the memory of Martin Luther King, Jr. Hampton says that Eyes on the Prize attempts to tell the stories of lesser-known civil rights activists. Hampton adds that the series is a testament to the power of ordinary people to effect great changes. Jones's report is accompanied by footage from Eyes on the Prize. 1:00:12: Visual: Black and white footage of A. Philip Randolph (civil rights leader) introducing Martin Luther King (civil rights leader) at the March on Washington in 1963. Shots of the crowd on the National Mall; of King standing before the crowd. Black and white footage of King being arrested by police; of King in prison with another African American civil rights protester. Shot of white people standing in the bed of a pickup truck. The Confederate flag is draped over the side of the truck; of two white boys making racist comments while waving a small Confederate flag. Marcus Jones talks about the legacy of King. Jones notes that King was a martyr for civil rights; that he was taunted by white racists. V: Black and white footage of John Patterson (Governor of Alabama) saying that King should leave Alabama because he is a "menace." Shot of King marching peacefully with other protesters. Jones reports that King was mocked by Black Power advocates; that student leaders second guessed his plans. V: Footage of H. Rap Brown (Black Power advocate) saying that the civil rights movement is dead. Footage of Stokely Carmichael (black student leader) saying that white leaders do not know what is good for black America. Footage of King preaching against violence. Audio of a gunshot. Jones reports that King embodies the civil rights movement for many; that King's memory sometimes overshadows the civil rights movement. V: Shot of King lying in his casket. Footage of King and civil rights supporters in January, 1956. King talks about the right of African Americans to protest. 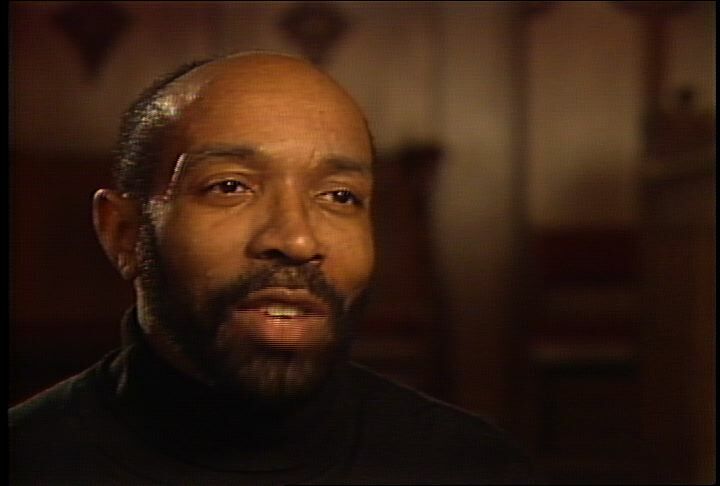 Footage of Henry Hampton (documentary filmmaker) saying that King would want to be seen as a small part of the civil rights movement; that Martin Luther King Day should be a testament to King as well as the accomplishments of the civil rights movement. Jones says that Hampton wants to set the record straight about the civil rights movement; that the civil rights movement was America's "second revolution;" that the civil rights movement is most often recounted through the life of King. V: Footage of civil rights demonstrators marching. One of the black demonstrators is being interviewed by a white journalist. Shots of the feet of the marching demonstrators. Jones notes that the experiences of the lesser-known demonstrators are important. V: Footage of the animated opening to the Eyes on the Prize series. Footage of Hampton saying that the series is a testament to the power of ordinary people to effect great changes. Excerpt from Eyes on the Prize, showing civil rights supporters picketing lunch counters in the South. 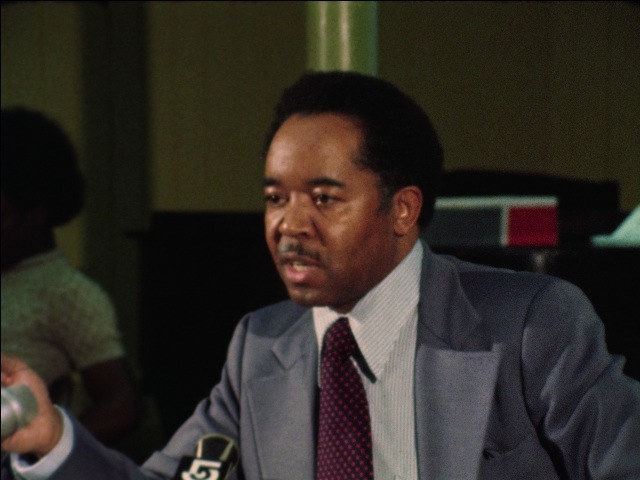 Jones reports that Eyes on the Prize was produced by Hampton's company, Blackside Incorporated; that Eyes on the Prize recalls the first decade of the civil rights movement. Jones notes that the series is comprised of six parts; that the series will air on PBS. V: Shots of signs for "colored lunch counters" and "colored waiting rooms." Shots of King; of Lyndon B. Johnson (US President) signing the Voting Rights Act of 1965. Footage from Eyes on the Prize of African American students entering Central High School in Little Rock, Arkansas. Melba Pattillo Beals (Central High School Junior) talks about her experiences as an African American student integrating the school. Jones says that the series uses first-hand accounts and historical footage to tell the story of the civil rights movement. V: Footage of a group of white men pushing an African American man down a street; of King reciting the "I have a dream" speech. Audio of Hampton saying that King was only a small part of a very large civil rights movement. Footage of Reverend C.T. Vivian (civil rights leader) confronting Sheriff Jim Clark in Selma, Alabama. Footage of Hampton saying that the stories of lesser-known civil rights activists have not been told. Hampton talks about the efforts of Diane Nash (civil rights acitivist) in Nashville. Shots of civil rights demonstrators in Nashville. Footage of Nash saying that she asked the Ben West (Mayor of Nashville) if segregation was wrong. Footage of West saying that Nash made him realize that segregation was morally wrong. Shots of Nash; of King. Jones says that many Americans remember the civil rights movements through the memory of King; that the civil rights movement was made up of many dreamers like King. V: Footage of King at the March on Washington. Shots of marchers at the March on Washington; of civil rights demonstrators being arrested by police; of civil rights demonstrators chanting and clapping. Description: Martin Luther King, Jr. received his doctorate of theology from Boston University in 1955, and he donated more than 80,000 personal papers to the university before he died. Coretta Scott King has filed suit against the university to get the papers returned to her. Interviews with students on campus about whether BU should return the papers to Scott King. The law firm of Melvin Miller, a BU Trustee, is handling the case for the university. Miller has accused Scott King of trying to profit from her husbands' materials. Scott King does not believe that King's agreement with the university is binding. Interview with BU Vice President Greg Felker and Black Student Union President Kiphanie Radford about the case. Shots of the papers and footage of Martin Luther King Jr. and Coretta Scott King. This tape includes additional footage of King's papers on display at BU. 1:00:10: Visual: Black and white footage of Martin Luther King (civil rights leader) delivering the "I Have a Dream" speech. Marcus Jones reports that King was one of Boston University's most distinguished graduates; that King received his doctorate of theology from the university in 1955; that a statue in honor of King was placed on the campus after his assassination in 1968. V: Shots of students on the BU campus near the statue honoring King; of the statue honoring King. Jones reports that King donated more than 80,000 personal papers to the university before he died; that Coretta Scott King (widow of King) wants the papers returned to her. V: Black and white shots of King. Shots of the King papers on display; of Coretta Scott King. Jones reports that Coretta Scott King has filed suit against BU. V: Shot of Coretta Scott King standing near the Martin Luther King's grave. Footage of a white male student saying that the university should give the papers back; of an Asian American female student saying that BU is within its rights to keep the papers. Footage of a white female student saying that BU should return the papers if they are not being cared for properly. Footage of a male student saying that Coretta Scott King should have the papers. Jones reports that the law firm of Melvin Miller (BU Trustee) is handling the case for the university; that Miller accuses Coretta Scott King of trying to make a profit from her husband's written material. V: Footage of Miller addressing an audience. Shot of a newspaper article in The Daily Free Press with a headline reading, "Miller: Mrs. King not telling the truth." Footage of King delivering the "I Have a Dream" speech at the March on Washington in 1963. Shot of Coretta Scott King. Jones reports that Coretta Scott King claims that Martin Luther King had changed his mind about keeping his papers at BU before his death. Jones notes that Miller disputes the claim by Coretta Scott King. V: Footage of Greg Felker (Vice President, BU Student Union) saying that BU should return the papers. Felker adds that there is evidence to support Coretta Scott King's claim that Martin Luther King changed his mind about housing the papers at BU. Footage of Kiphanie Radford (President, BU Black Student Union) saying that there may be merit in BU's refusal to return the papers. Shot of King's papers on display. Text of a quote from King is displayed on screen. Jones quotes a letter written by King to BU: "In the event of my death, all such materials deposited with the University shall become from that date the absolute property of Boston University." Jones says that Coretta Scott King claims that King's letter is not binding. V: Shots of Coretta Scott King at the grave of Martin Luther King; of a sign for the Martin Luther King Jr. reading room at Boston University. Jones stands on the BU campus. Jones reports that the public outcry surrounding the issue has not convinced BU to return the papers. Jones adds that BU is scheduled to respond to Coretta Scott King's charges on Monday, which is the anniversary of King's death. Description: Story opens with clips of civilians commenting on near possibility of war. Clip of Martin Luther King Jr. giving a sermon. Boston University Martin Luther King Professor of Ethics John Cartwright recalls Martin Luther King's legacy of non violence and pacifism. Cartwright explains the sad irony of imminent Persian Gulf war on King's birthday. 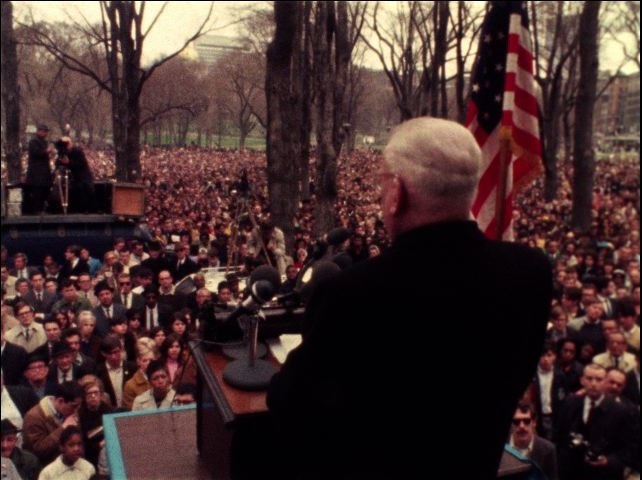 Clip of King speaking about Vienam on April 15, 1967 at anti-Vietnam War march in New York City. Brief clip of King speaking at different rally. Ends with Cartwright talking about discussion of war through the context of King's work. Description: Meg Vaillancourt talks to students at the Martin Luther King Middle School in Dorchester about their opinions of Nelson Mandela (black South African leader). The students tell what they know of Mandela's life and struggle. Two students compare Mandela to American civil rights leaders Martin Luther King, Jr. and to Malcolm X. Some students talk about whether violence should be used to further one's goals. The students agree on the importance of fighting for equality. They are united in their admiration for Mandela. Vaillancourt's report is accompanied by footage of Nelson Mandela and Winnie Mandela (wife of Nelson Mandela) greeting crowds in South Africa. 1:00:04: Visual: Footage of Meg Vaillancourt (WGBH reporter) talking to students in the library of the Martin Luther King School in Dorchester. Vaillancourt asks how many students have heard of Nelson Mandela (black South African leader). All of the students raise their hands. Vaillancourt reports that Mandela had already been jailed for fifteen years when these students were born. V: Black and white shot of Mandela as a young man. Vaillancourt notes that the middle-school students knew a lot about Mandela. 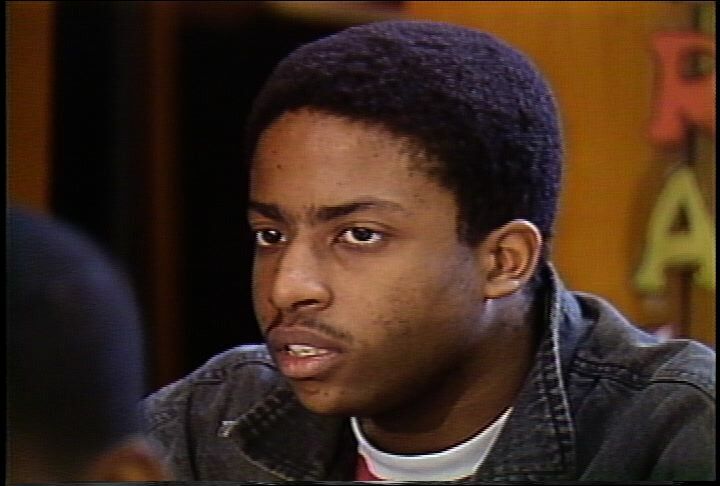 V: Footage of an African American male student saying that Mandela fought against apartheid in South Africa. Footage of another African American male student saying that Mandela is the leader of "the black congress" in South Africa; that he was accused of participating in the bombing of a government building in South Africa. Footage of Nelson Mandela and Winnie Mandela (wife of Nelson Mandela) exiting an airplane onto a runway in Johannesburg. Nelson Mandela and Winnie Mandela wave at supporters. Vaillancourt reports that Mandela has been in the news since his release from prison. Vaillancourt notes that the students had heard of Mandela from their parents and friends; that the students recognized Mandela in thirty-year-old photos. V: Shot of Vaillancourt in the library with the students. Black and white shot of Mandela as a young man. Footage of an African American male student saying that Mandela reminds him of Martin Luther King (American civil rights leader). Footage of another African American male student saying that Mandela reminds him of Malcolm X (American civil rights leader). Footage of another African American male student says that black people need to fight for equality; that black people should use violence if non-violence does not work. Footage of an African American female student saying that violence should be avoided if possible. Footage of an Asian American female student saying that segregation in the US is like apartheid in South Africa. The student says that the people united to end segregation in the US. Footage of an African American male student saying that there are other ways to achieve goals besides violence. Footage of an African American male student saying that he would like to teach the South African goverment to trust black South Africans. Shots of the middle-school students sitting with Vaillancourt in the library. Vaillancourt reports that she spoke to students ranging in age from eleven to fifteen. Vaillancourt notes that the students believe that Americans can learn from Mandela's struggle. 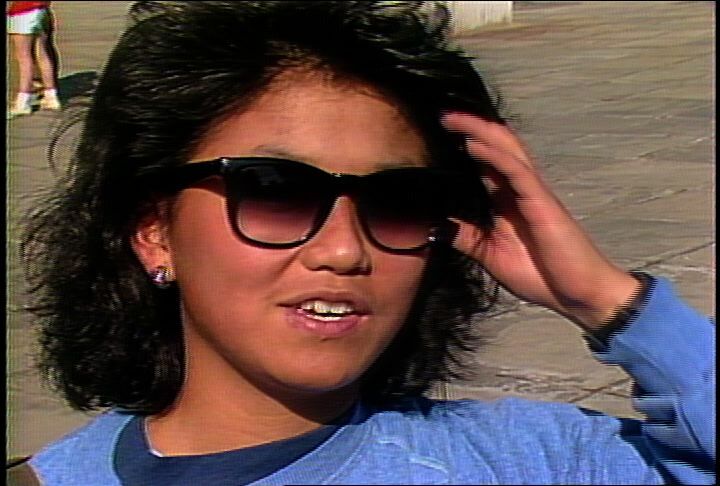 V: Footage of an Asian American female student saying that people need to fight for their rights sometimes; that there is a price to be paid. Footage of an African American male student saying that forgiveness is important; of another African American male student saying that Mandela showed patience and endurance during his struggle. Shot of Nelson Mandela raising his fist and smiling for the media. Description: A man speaking about urban homesteading, poverty and Martin Luther King Jr.'s legacy. This is 2 of 2 reels.